I got to do something very cool today. 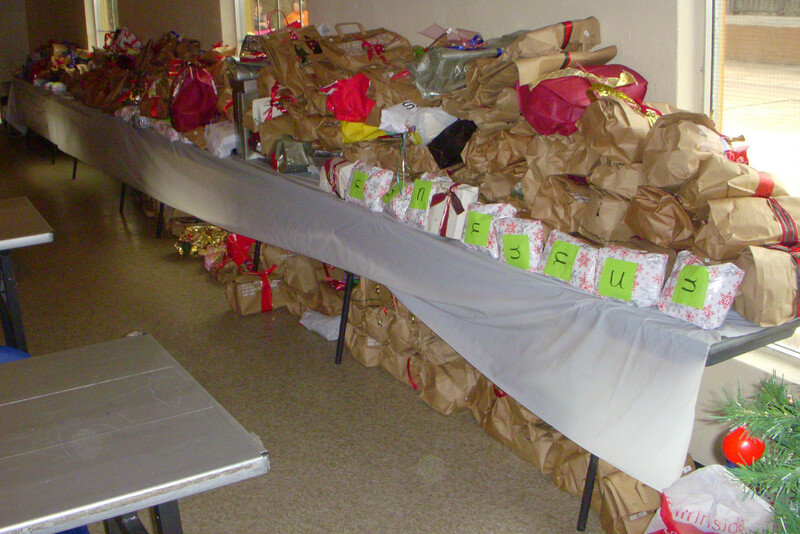 Each year my mom and my Aunt Carolyn volunteer their time, talent, and treasure to help the area MHMR program put together a Christmas party for the “consumers”—the people receiving mental health or mental retardation services. For many of the consumers, it’s the only Christmas celebration they’ll attend. I got to participate in the fruit of their labor by volunteering at the party itself. It’s a coordinated effort. The MHMR program gets the site, finds a band willing to play for free, and organizes volunteers. A local church provides the catered barbecue meal. And my mom and aunt solicit donations from friends, colleagues, neighbors, and businesses and then work to assemble more than 400 gifts so that everyone who comes to the party leaves with a Christmas present. For some of the consumers it’s their only Christmas gift. One lady whose bottom front teeth were worn down to painful-looking nubs asked me for “a big one” to cover for both Christmas and her birthday a few days later. 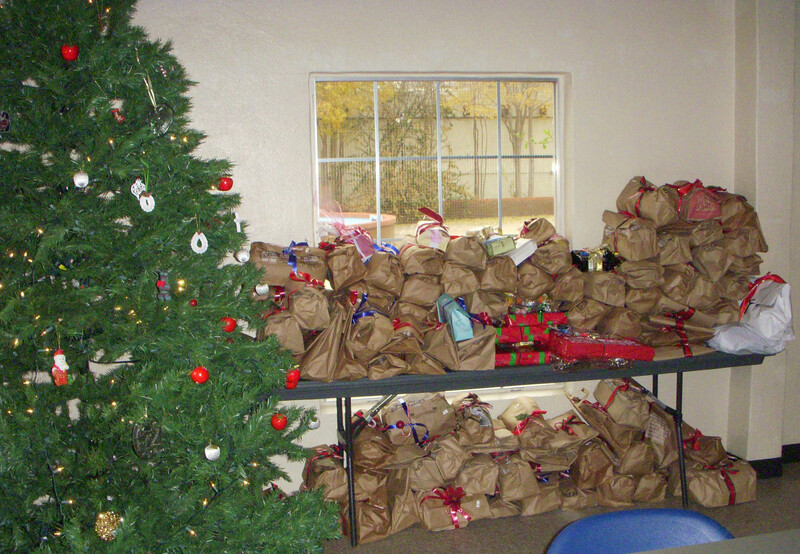 Most are wrapped in donated brown paper bags with handles because the consumers like to carry their gifts home in a bag, and the extra room allows them to take home the holiday decorations used at the party. Mom dresses up the bags with ribbon and candy canes. With limited funds donated, it makes more sense to spend money on content than on wrapping. The “u” stands for “unisex”. Gifts are tagged for men, women, or either (unisex). I didn’t get to stay for the entire party, but I was able to haul gifts there, help set up the facility, and to help in the beginning of the lunch distribution. I have to give special thanks to my friend Natalie for watching the kids so I could be there! More tomorrow, when I’m less tired.